For his latest book Colonel Roy Stanley presents aerial photographs of the German and Italian fleets that were selected as important six decades ago and have long lain dormant, unindexed and unexplained. 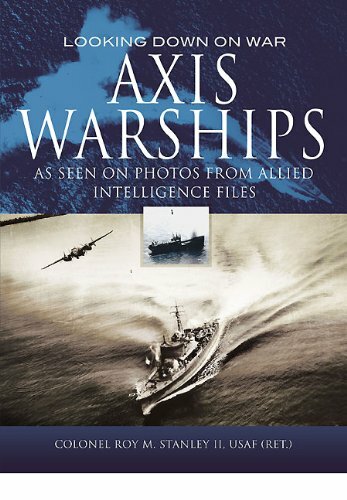 Extensive use of aerial and other Intelligence imagery from long retired files would be enough to make this book a must for those intrigued by World War II intelligence and naval history. But it is the author’s commentary that makes this work truly unique, thanks to his aerial photo interpretation experience, ability to provide Intelligence analysis, and academic background.